Our How to Become a Background Actor series takes an in-depth look at everything you need to know to become a Background Actor with Central Casting. Keep an eye on our Articles page for more in this series! Do you want to be a part of the next Hollywood blockbuster? Do you love TV and just want to see how your favorite shows get made? People become Background Actors for a variety of reasons, but most start out the same, by registering with Central Casting. What is a Background Actor? A Background Actor (also called extra, background talent, and atmosphere) is someone who performs in a show in a nonspeaking role, usually in the background. Background Actors make movies and TV shows feel more authentic. They’re diners in a restaurant, nurses in a hospital, students at a high school, and everything in between. Background Actors are given direction by Assistant Directors, sometimes even crossing the camera and interacting with principal actors in a scene. How do I become a Background Actor? Our online registration process makes it easy to register with one of our offices in Los Angeles, New York, Georgia, or Louisiana. There are three steps you’ll need to complete before you’re eligible to work on our productions. First, create a profile to use during the online registration process. Once you’ve made a profile, you will be taken to the online portion of registration. Please fill out all the necessary information. Make a reservation to visit our office with your required documentation to complete registration by filling out paperwork and getting your photo taken for our casting system. Each location schedules registration sessions so far in advance. If you are unable to make a reservation when you finish the online portion, keep checking back as new sessions open and spots become available due to cancellations. If you need help or have questions about the online registration process, you can leave a message on our toll-free helpline at 1-855-500-2055 or email us at helpme@centralcasting.com. Please include your name and phone number in your message so we can contact you. Everyone who registers with Central Casting must fill out an I-9 form and present the required I-9 form documentation. This is a crucial step in the registration process and you will not be allowed to register if you don’t bring the original unexpired documents. Please be sure to read over the Lists of Acceptable Documents before you come to register. You’d hate to be turned away because you weren’t prepared. Central Casting registers minors 15 days old to 17 years old to appear in movies and TV shows. At this time, the online registration process is only for adults. 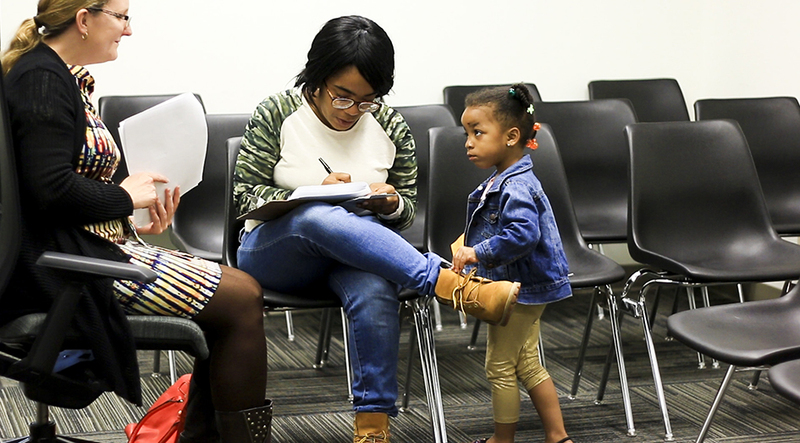 Parents and legal guardians can register their minor by bringing them to a registration session at your local office. During registration, the parent/legal guardian will fill out paperwork and the child will have their photo taken for our casting system. Check out our calendar for upcoming minors registration sessions in your office. Minors must meet the same I-9 requirements as adults in order to register and become a Background Actor with Central Casting. Our minors I-9 required documentation packet has more information about minors’ identification requirements. While minors do not need a work permit to register with Central Casting, they will need a work permit in order to be booked for jobs. Your location’s Kids page has all the information you need about minors work permits. Once you’ve filled out your paperwork, you’ll take casting photos for our casting system. The registration team will take two photos, a headshot and a full body shot. Keep in mind that Casting Directors, Assistant Directors, and other members of production will see these photos during the casting process, so dress how you’d like to represent yourself. Your main file photo is what you look like on a general day-to-day basis. If you want to add additional photos of yourself in different looks, you can come in to our office during Updates to submit or take additional photos. Check your location’s calendar for Update times in your office. Which Central Casting office are you going to register at?